The home of quality new and used machine tools, spares and services. 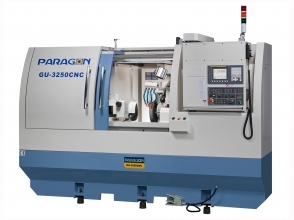 Our latest range of machine tools is one of the best cost / quality combinations available in the UK and we are based centrally in England, United Kingdom. Millbrook Machine Tools has been built on the foundations of William Watts which gave over 130 years of service to the Engineering and Manufacturing industry. William Watts was based in Nottingham for most its 130 years and for its last 50 years selling machine tools manufactured in East Germany via WMW Export Import in the former DDR (German Democratic Republic). Although the symbol used by William Watts "WMW" was thought to be that of William Watts it was actually the initials in German for machine tools and tools (Werkzeugmaschinen und Werkzeuger). It is recognized throughout the world because a plaque incorporating that symbol is riveted to 10's of thousands of machines produced by the former DDR factories including: Union; Niles; Heckert; Bowes; Saalfeld; Modul; Auerbach; BWF; Glauchau; Erfurt; SMW; Bad Duben; Mikrosa and many others. Other machine agencies held by William Watts include: ATM ; Gladiator; Femco; Eumach; Equiptop; Paragon; Jakobsen; Sanco; Gioria and Lizzini. 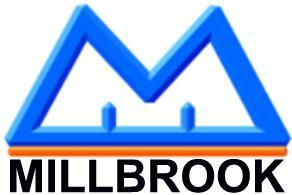 Millbrook Machine Tools supplies New and Used CNC, Automatic and Manual (Conventional) Machinery for Milling, Boring, Drilling, Turning and Grinding.